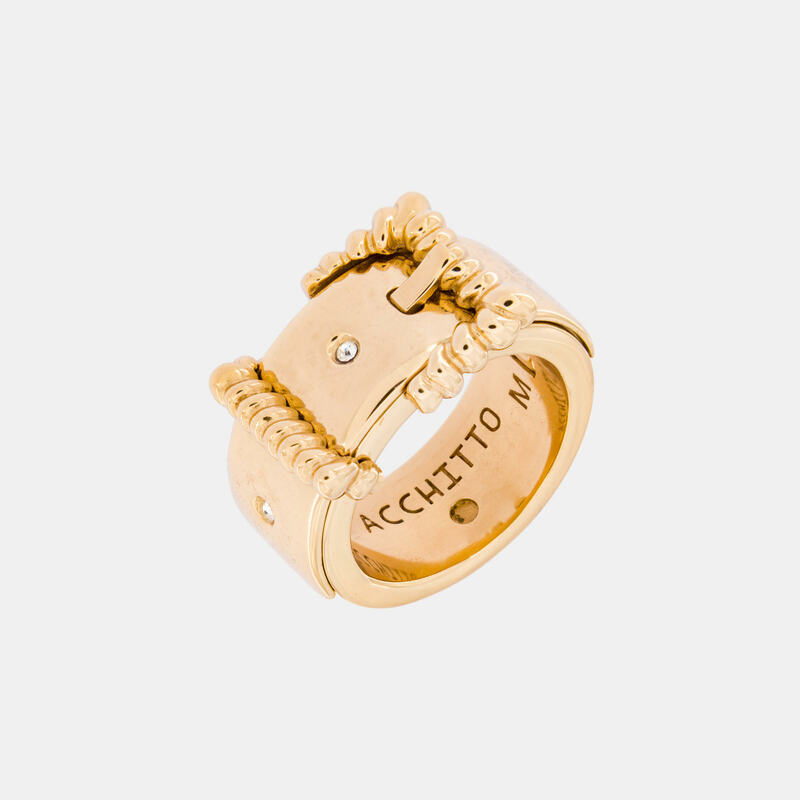 This openable ring is made of yellow gold-plated bronze. 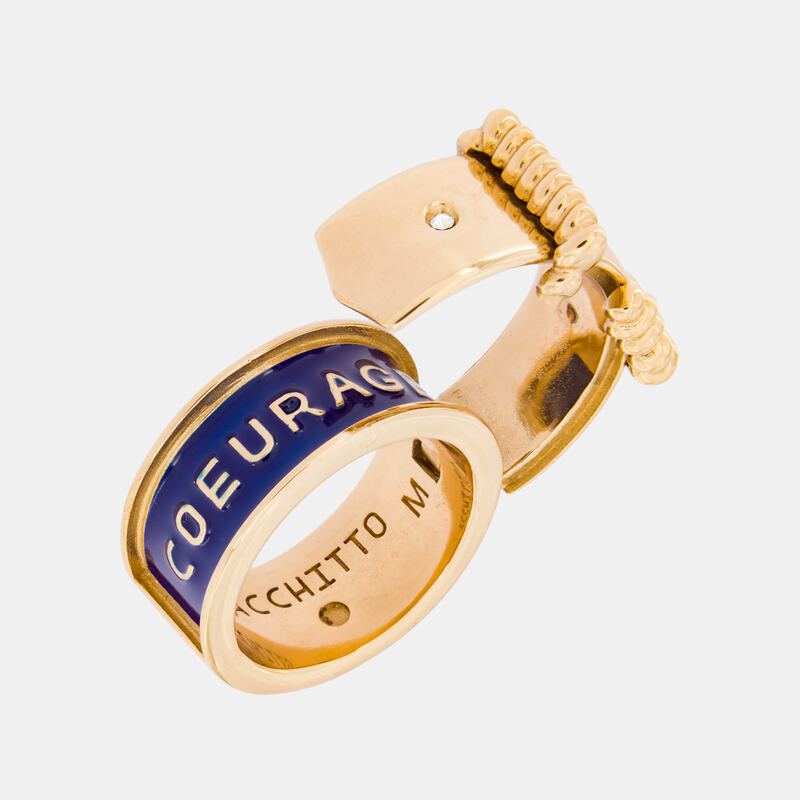 Inside the ring, a band of blue enamel presents the hidden message, COEURAGE, a neologism formed by the merger of Coeur / heart + Age / age = Coeurage / courage, courage in the whole existence. The shape of the jewel resembles that of a belt decorated with the iconic Acchitto knurled buckle and embellished with crystals.